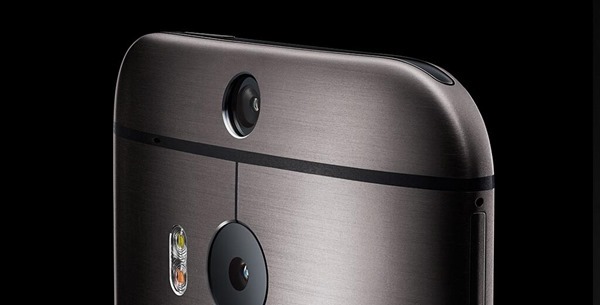 After quite a lengthy build-up, the all new HTC One (M8) is finally upon us. Even though we knew most of the details thanks to a spate of pre-announcement leaks, HTC has still revealed a couple of interesting tidbits in its simultaneous showcasing in New York and London, and we’ve got all of the details coming up after the jump! This particular device has been a long time coming, and with the Samsung Galaxy S5 and Sony Xperia Z2 having been unveiled back at Mobile World Congress, the battle for supremacy in the Android market for 2014 already in full flow. But having garnered a fair share of the plaudits with last year’s HTC One, its successor is the device that many have been waiting for, and without further ado, let’s take a look at this bad-boy. The HTC One was described as ‘beautiful’ on many occasions, and the new HTC One (M8) is, as we’d already seen many times prior to today’s announcement, every bit as elegant as its predecessor. The aluminum unibody that we fell in love with the first time around has been refined and tweaked for an even nicer-looking finish, and to accommodate the 5-inch, 1080 x 1920 display – that’s a 441 ppi pixel density, by the way – the device is also slightly taller than last year’s model. One noticeable alteration, besides the fact that there are two rear-facing cameras, is the removal of the touch-based buttons from underneath the display. Instead, they now reside on-screen, which is a great deal more practical, and means that even though the handset is slightly longer than the last model, it’s still comfortable enough to hold in one hand. 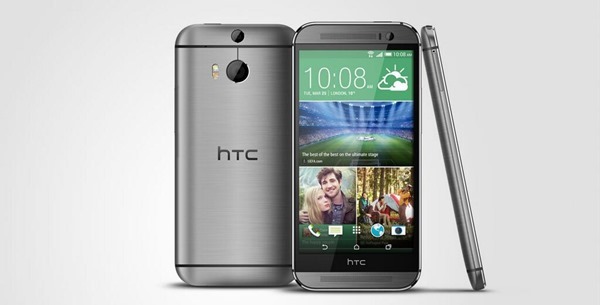 As for the device’s dimensions, the new HTC One (M8) measures in at 146.4 x 70.6 x 9.4 mm, which translates to 5.76 x 2.78 x 0.37 inches. It’s worth pointing out, thought, that due to the shape of the device, its depth is not actually 9.4mm throughout, but rather at the center point of the rear curvature, so to hold, it won’t feel nearly as thick. At a weight of 160 grams, it’s not the lightest device in the world, but considering the metallic finish and generous list of specs (as seen below), this is perhaps to be expected. The HTC One boasts a quad-core Qualcomm Snapdragon 801 (MSM8974-AB) SoC, with a healthy 2GB of RAM to keep things ticking over. 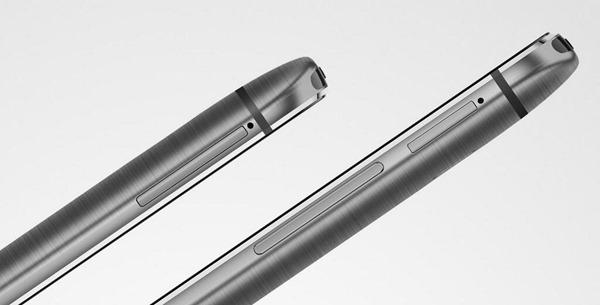 Some reports had suggested that the device would pack as much as 3 gigs of RAM like the Galaxy S5, but while tech. specs are certainly of importance, anything above the 2GB mark in a smartphone is going to offer solid performance. The display is a 5-inch, Super LCD3 panel with a resolution of 1080 x 1920, which will serve as the ideal companion to the dual 4-megapixel rear-facing cameras, or ‘Duo Cameras’ as HTC is calling them. In the build-up, some suggested that the presence of the two side-by-side snappers would offer some kind of 3D mode, but in actual fact, the idea is to allow users to adjust focus after you’ve taken the shot. Unfortunately, it’s 1080p rather than 4K, which is something of a disappointment, but nevertheless, it will be interesting to see first-hand just what this new camera is capable off once the videos and photos start to emerge. And here comes the best part: the new HTC One features a 5-megapixel front facing camera as well, making it the perfect smartphone for those who love taking selfies. As well as HTC’s camera quirks, the BoomSound is back for another round, and considering that the speakers of last year’s flagship are still the very vest in the loudspeaker business, we’re expecting nothing less this time around. As alluded to in the Taiwanese company’s own teaser clips, much improvement has gone into giving the dual-speaker setup even more bite, bass and clarity, so if you like to play your music and video loudly, then you’ll definitely be interested in the HTC One 2. One thing that the last device was missing was the ability to pop in a microSD card, which will have prompted many consumers to opt for the Galaxy S4. Thankfully, though, the new HTC One includes a microSD slot, which can read memory cards of up to 128GB. Speaking of storage real-estate, the new HTC One offers 16, 32 and 64 GB configurations, and let’s just hope that, unlike last year, HTC manages to have all of the options available at the point of launch. On the topic of connectivity, the device supports 2G, 3G and 4G LTE, Bluetooth 4.0, and Wi-Fi 802.11 a/b/g/n/ac. There’s also, as you might expect, NFC, and while the technology isn’t as widely used as many had projected, it’s always nice to have such a feature on standby. 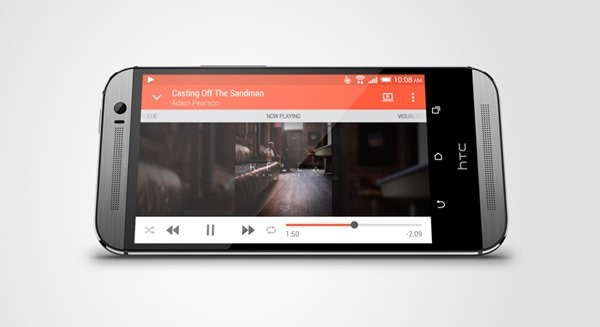 HTC One (M8) carries an IR blaster on top as well, and lets users control HTC Sense TV. In case you’re wondering what HTC Sense TV is, then a little intro is in order: it HTC’s home-baked TV program guide, and it lets you sync with literally hundreds of different TVs and set-top boxes. The battery has been given a bump over the original HTC One, and now features a 2600 mAh battery to keep things ticking over nicely. For comparison, the original HTC One had a 2300 mAh battery. As far as software features go, we already knew that the HTC One would run Android 4.4.2 KitKat out of the box, something that the Taiwanese company has confirmed once again today. Additionally, you get Sense 6, HTC’s own batch of tailored software features, right off the bat, and again, the fact that the new Sense apps already manifested over at the Play Store prior to the announcement confirmed this in advance. 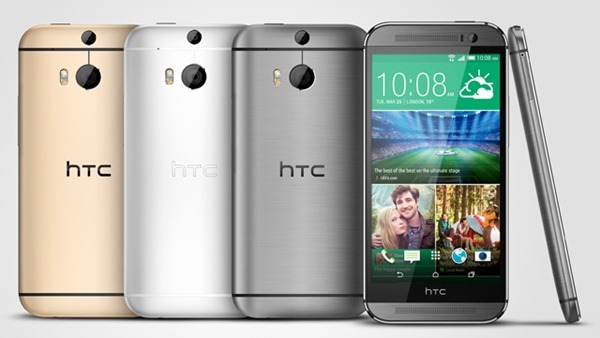 Here comes the exciting part of the whole announcement; the new HTC One (M8) is available today directly from HTC’s website, and is available in 4 color options: Gun Metal Gray, Silver, Gold and Black. All major carriers are on-board the launch, and AT&T, Verizon, T-Mobile and Sprint are also included, to name a few. And to make the deal sweeter, HTC is offering free express shipping for purchases made via its online store, along with 65GB of free Google Drive storage for 2 years. And the device will be available in 100 countries, 230 carriers. If you want to pick up the new HTC One right away and are in the US, then simply head on over to a Verizon store and you won’t be disappointed. Also, T-Mobile won’t sell the device until next month. 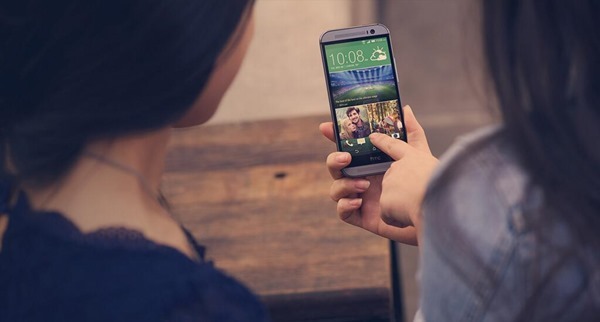 The new HTC One (M8) will be available as a Google Play Edition device, and also as a Developer edition device with an unlocked bootloader. Coming to price, the new HTC One will cost $199-249 on contract, depending on which model you’re getting. And the Google Play Edition device will set you back $649. 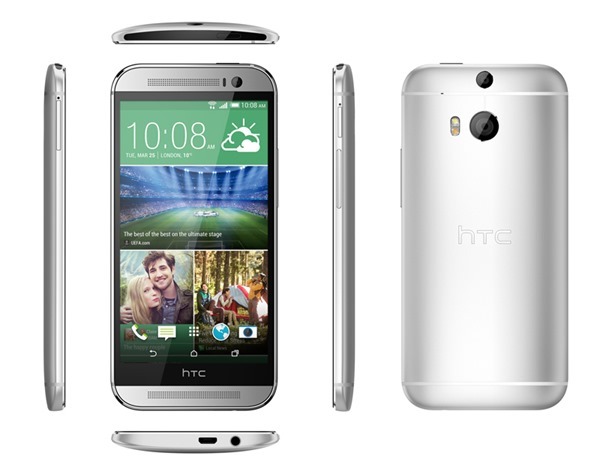 Having taken in the extensive feature set, what do you make of the new HTC One? Be sure to leave your comments via the usual mediums below!